Walking Off the Map. Poems by Kate Fox. Number 2.11 in the Seven Kitchens Press Editor’s Series. 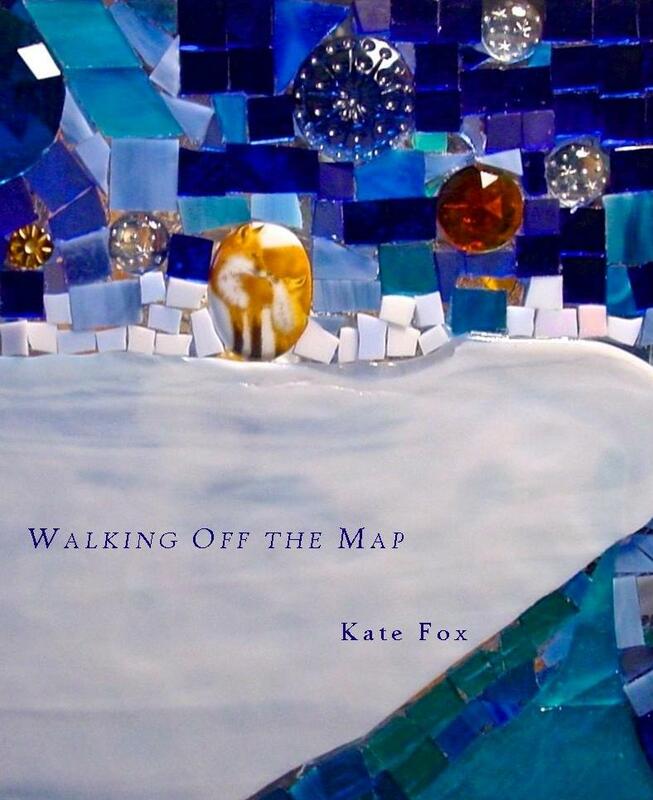 Kate Fox‘s poems have appeared in the Great River Review, Green Mountains Review, Valparaiso Review, Mount Hope, and West Branch. Her chapbook, The Lazarus Method, was published by Lent State University Press as part of the Wick Poetry Chapbook Series. Kate earned her Ph.D. in American literature/creative writing from Ohio University, where she worked as an instructor, editor, and assistant to the president. After serving for several years as the editor of the Ohioana Quarterly book review journal, she currently runs Textual Healing, a freelance writing and editing business, and organizes Women on the Line, an annual poetry reading held to raise awareness for My Sister’s Place, a local domestic violence shelter. She lives in Athens, Ohio, with her partner, Robert DeMott, and their two dogs. into his pocket for the journey back to Pisa. a woman, backlit, whispered, “And your husband, my dear? Where might he be tonight?” I closed my eyes to the burning. What bones could cradle it? What body could bear its weight? would have damned me, too, and I had the living to consider. because, even unnamed, it hunched over its creator’s body and grieved. Purchase Walking Off the Map via PayPal here, or query by e-mail to sevenkitchens at yahoo dot com. Purchase The Lazarus Method here. Read Kate’s poem “No More” here (in Valparaiso Poetry Review). Hear four poems from Walking Off the Map here (at AudioBoom).